It’s Saturday morning, it’s 8:30am, it’s time to discover San Francisco! 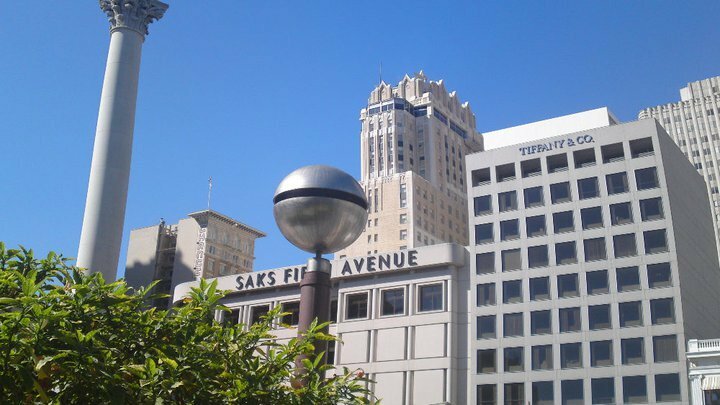 Of all the places visited on this road trip, it was deciding on an “itinerary” for our two full days in San Francisco which gave me the biggest headache. The city has so many iconic “must-sees” that it became something of a nightmare putting them into a workable itinerary! I decided to cut the city in half: North-East San Francisco today, West San Francisco tomorrow. We grab pastries, juice and coffee from the complimentary selection offered by the hotel and head down Lombard Street to – well, the most famous bit of Lombard Street. This does however consist of scaling a small hill the size of Mount Everest between Van Ness and Hyde Street – good job we put in all that hiking practice at Yosemite! 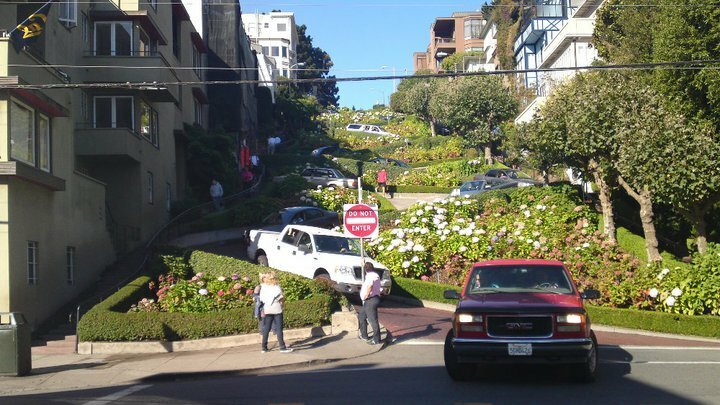 What goes up must come down, so we descend Lombard Street, taking note of all the crazy drivers descending very slowly. I can see the cogs whirring in Mr Fletche’s head…. “Do we have time in the itinerary for that?” I tell him that if he’s a good boy, we can give it a go on Monday morning on our way out of San Francisco. We head towards Fisherman’s Wharf, and Mr Fletche digs out a few coins for Musee Mechanique. He is reluctant to go inside, fearing the retro arcade bug will bite and I will find him hours later with “claw hand” screaming “One more go! Just one more go please!” However, a few games of Phoenix and Dig Dug later and Mr Fletche emerges back into the sunlight; he has managed to restrain himself. We follow the Embarcadero round to Pier 39. Now, I know this area screams “tourist” but you know what? 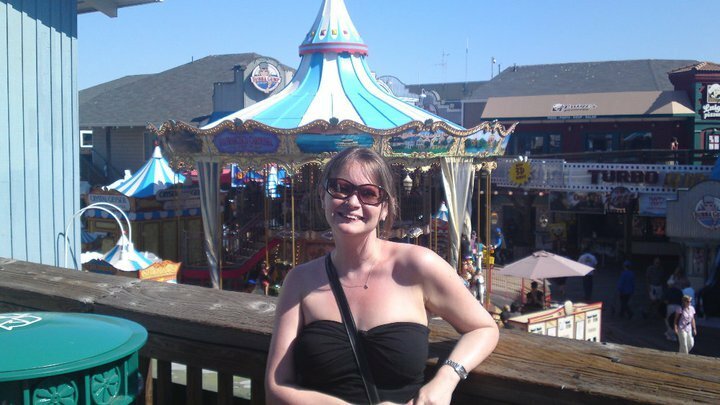 I am a tourist and I find the whole vibe really fun, with the outdoor entertainers (loved the magician, didn’t catch his name, but very funny) and the tacky gift shops (I just know that everyone back home is going to get a San Francisco fridge magnet. Or a San Francisco key ring. Or a San Francisco snow globe). 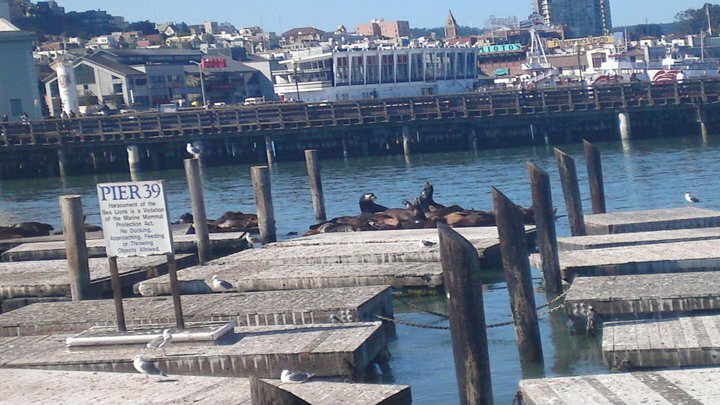 The famous sealions are in short supply, covering about five of the platforms in the sea, but we hope we’ll get the chance to see more during our trip down the west coast. A note about the weather: we were fully expecting grey, foggy days with the need for lots of warm clothing. Well, I guess we must have hit San Francisco experiencing something of a heat wave; temperatures were well into the 80s. Considering the heat, it may have been a good decision to drop this from the plan, but hey, what’s a few steps? Needless to say, by the time we reached the Tower via Greenwich Steps, we were both exhausted! 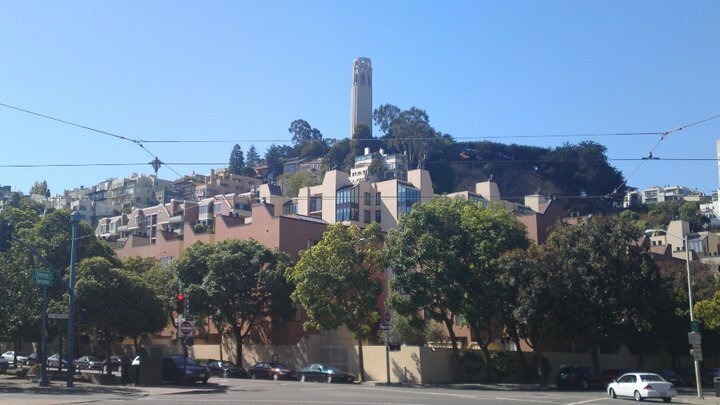 As with our Yosemite “hike”, the descent was a lot easier than the ascent, although we appeared to exit via the slightly easier steps behind Coit Tower, and then had to find our way back down to the Embarcadero. We make our way down to the Ferry Building – it seems miles away and doesn’t seem to be getting any closer… I guess the heat and all the walking for the last couple of days is taking its toll. We were a little disappointed by the Ferry Building and Farmer’s Market. I’m sure that it’s a foodie’s paradise if you’re that way inclined, but it was absolutely packed; we couldn’t get near any of the stalls and the queues for food were ridiculously long. By this time, we were hungry and just wanted somewhere to sit for a while! We walk up towards Union Square, and are disappointed by the number of food places that appear to be closed or closing – I suppose we are in the Financial District on a Saturday afternoon…Then I spot Harrington’s Bar & Grill – I remember this being on my potential lunch list (the list being the one that’s back at home in the UK). At last! Somewhere to get food and drink and more importantly, somewhere to sit down for a while! We order sandwiches and beers ($26) – service is a bit slow but the food is good. We continue on our mission to tour the whole of the city in one day, but we quickly realise that we are losing our enthusiasm and really not doing justice to these areas. 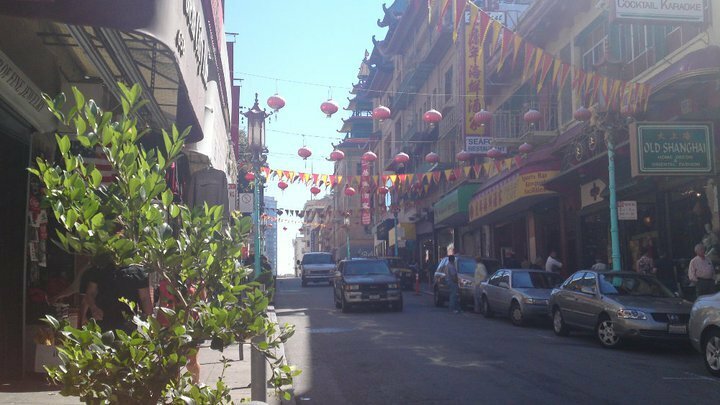 From Harrington’s, we walk up to Chinatown, but we only really cover Grant Avenue, and then walk down to Union Square. I’m too hot and tired to even shop! I put these areas on my mental “When I come back to San Francisco I will…” list and try and work out our best way back to our hotel (preferably without having to walk too much…). This seems like a good time to try out one of the iconic San Francisco Cable Cars. After a bit of confusion as to which line we wanted – which resulted in us missing at least two cable cars going the way we were going – we boarded a cable car at Powell & Geary, bound for Hyde & Beach. The cable car was packed, and we were crowded inside like sardines, but at least boarding here meant that we didn’t have to wait in the ridiculous queues at the turnaround. The ride itself? Crammed, hot, uncomfortable… but a lot of fun! Mr Fletche didn’t share my enthusiasm though, likening it to rush hour on the London Underground. Yes, but you don’t get these kind of hills on the tube do you? It’s another long walk back from Hyde & Beach to Hotel Del Sol… we swear the hotel is moving further and further away each time we leave it! We gratefully throw ourselves onto our bed once we’re back at the hotel, and soon realise our mistake when returning our feet to the floor results in extreme pain and burning. However, it’s Saturday night in San Francisco; we can’t let a little thing like blistered feet keep us chained to our hotel room. Wearing our most comfy shoes, we wander around our local neighbourhood – Cow Hollow. We were advised that a lot of the locals come to Cow Hollow & Marina at the weekends, and this seems to be true – everywhere is packed; bars & restaurants are spilling out onto the streets. After meandering around the district for a while, we slowly but surely find ourselves heading back towards Fisherman’s Wharf. 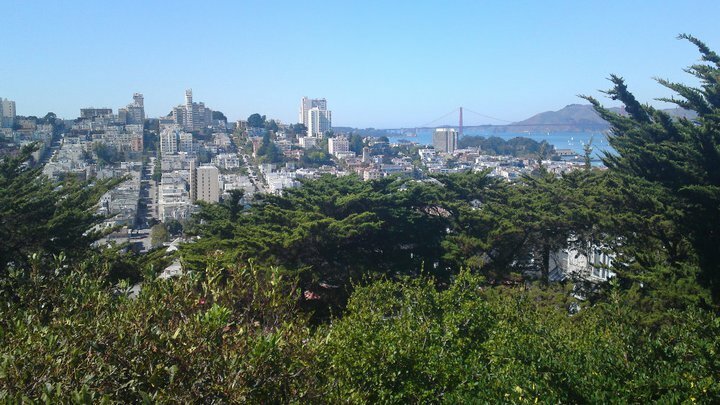 "Driving Yosemite to San Francisco: A USA Road Trip"
"USA Sept 2010 – Golden Gate Park, Alcatraz and Meeting Bush Man…"